March 21, 2014 - No Comments! 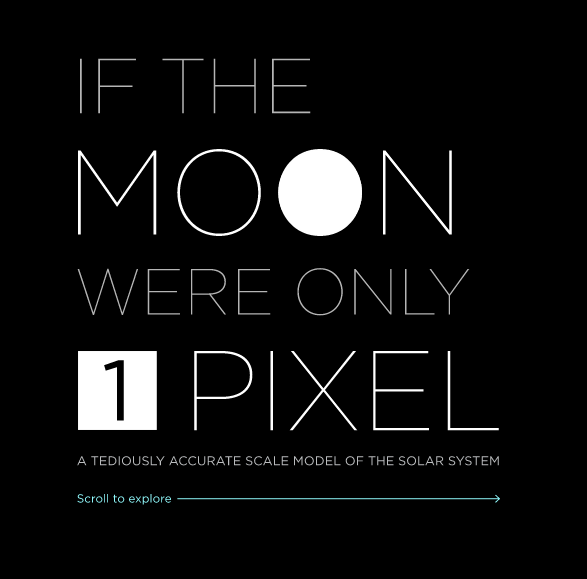 If The Moon Was Only 1 Pixel is a accurate scale model of our solar system created by Josh Worth. It is an impressive and interactive single scroll page that give you idea of something we can hardly get a grasp on.